The Alternatiba Tour: Why ? Today, bells are ringing. Stéphane Hessel, writer of Indignez-vous and godfather of Alternatiba’s dynamic, was warning :” Climate change is worsening and getting faster, jeopardizing the poorest populations of the planet, and, at mid terms, the living conditions on Earth”. Greenhouse gazes emissions have to be reduced rapidly and massively so as to not cross the dangerous and even non reversible line, of global warming and climate change. However, solutions to global warming exist. possibilities for energetic transition are increasing. Thousands of people, associations, towns, villages and regions around the world have already experienced them. Those thousands of alternatives are daily taking part to the rebuilding of a new society, simpler but also more human, friendly and united. Alternatiba’a villages are the living proof of the impacts of these alternatives. Alternatives to climate change, but also to the social and ecological crisis. 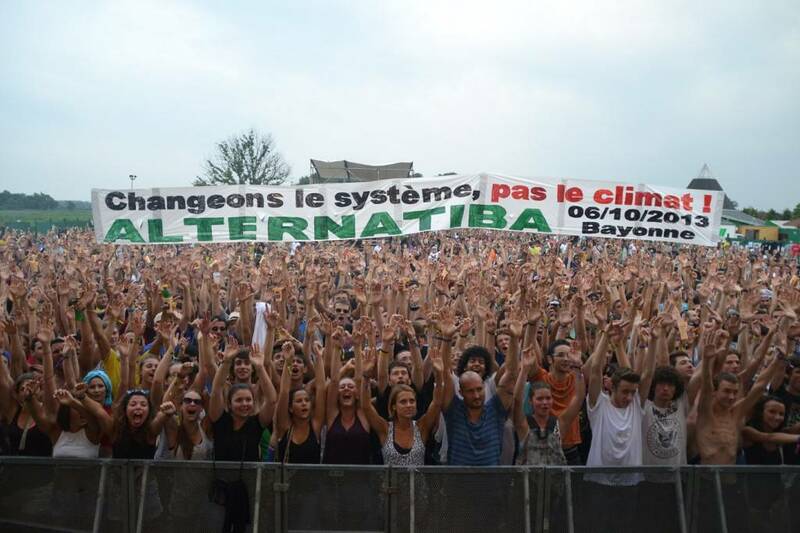 In Bayonne, on the 6th of October 2013, few days after the publication of the IPCC Fifth Assessment Report, the first Alternatiba gathered more than 12 000 people. 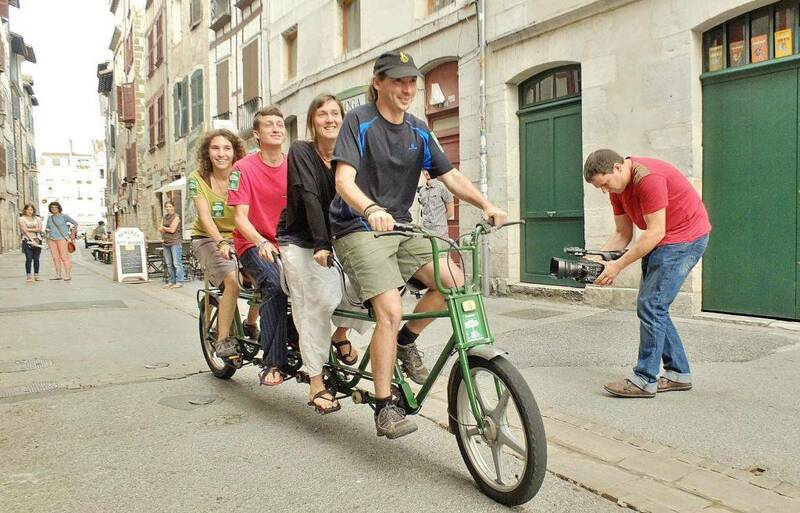 Since then, about fifty Alternatiba have been organized and some are still being organized in other towns, in France and in Europe. The Alternatiba Tour encouraged by Alternatiba, the alternatives village. 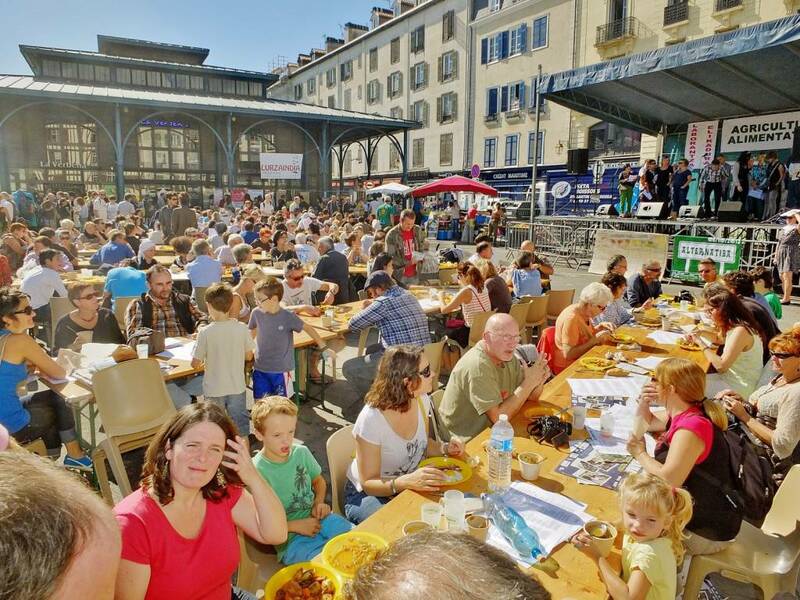 On Sunday 6th of Octobre, 12 000 people have met in Bayonne in the first Alternatiba’s village, few days after the publication of the IPCC Fifth Assessment Report. A wide rallying tackling the climate emergency, was indeed possible. It is time to lower here and now greenhouse gases emission in every field: peasant farming, the relocation of the economy, the controlled land settlement and the developpement of alternatives to the dominant use of roads, energy savings, eco-housing, MISE AU PAS DE LA FINANCE, the social and ecological conversion of production, the responsible consumption, the sharing work and wealth, mutual aid, the recycling and reduction of waste, the preservations of global public goods, such as water, land, forests..
Lectures, exhibitions, stalls, workshops, and practical demonstrations, but also, a folk festival, a festive meal, artistic performances (singers and dancers)… Alternatiba proves, not only that solutions to the climate change exist, but also that they are building a more human, fair, united, friendly society and life. The fight against climate change was not a painful challenge on which we did not have any influence, but instead, a tremendous momentum and everyone can be part of it. This momentum is building a society project, and a promise for the future. Beyond the quantitative success of Alternatiba, Alternatiba also gives off a cheerful atmosphere, a collective and positive energy, which make an impression on people’s minds. A call for the multiplication of Alternatiba village. At the end of the day, a solemn declaration read by Ms Christiane Hessel, Stéphane Hessel’s wife, and Mr Juan Lopez de Uralde, former president of Greenpeace Spain, was calling for the creation of 10, 100, 1000 Alternatiba in France and in Europe, with the COP 21 in mind, to be held in Paris at the end of 2015. Since then, more than 50 cities and territories have seen Aëternatiba’s initiatives blooming: Paris, Geneva, Brussels, Bilbao, Bordeaux, Toulouse, Nancy, Rennes, Strasbourg and so on. Others are being organized in England, Germany, Austria, Turkey, Tunisia… From September 2014, 8 new Alternatiba gathered 62 000 people. A new Alternatiba appears each week. most of them will take place between June and July or September and October 2015. 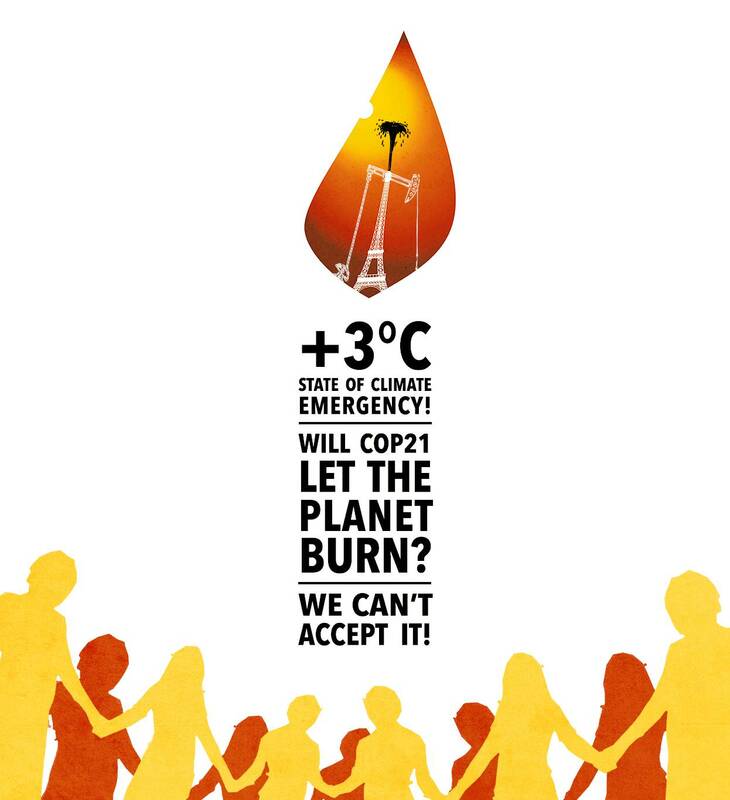 Awareness among Hundred thousands citizens will be raised concerning the climate emergency, ecological and social justice.